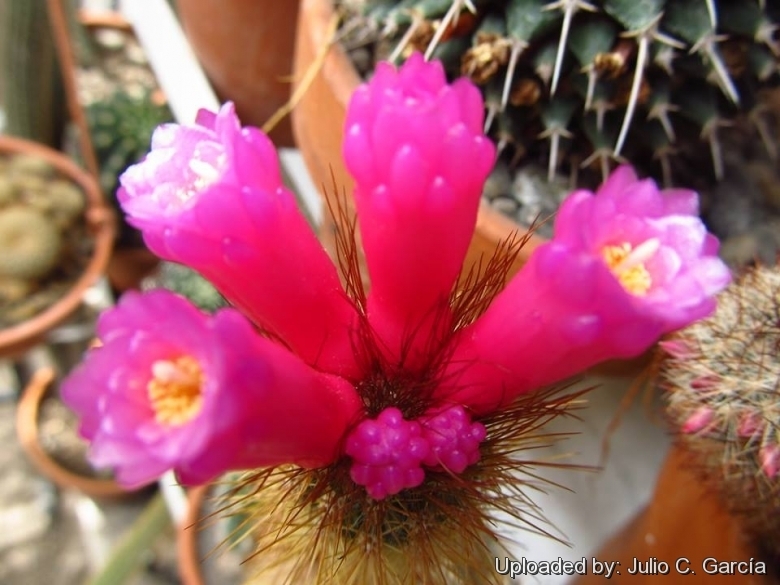 Description: Arrojadoa rhodantha is a shrubby cactus, at first erect, afterwards branching basally and clambering. It can reach a height of over one metre. Every year the tubulaar violet-red flowers are produced in clusters from a cephalium at the top of the joints. A. rhodantha is fairly variable and several controversial subspecies and varieties have been described.